"Filming is underway on Warner Bros. Pictures’ Batman v Superman: Dawn of Justice, the highly anticipated action adventure from director Zack Snyder, starring Henry Cavill in the role of Clark Kent/Superman, and Ben Affleck as BruceWayne/Batman. “Batman v Superman: Dawn of Justice”is written by Chris Terrio, from a screenplay by David S. Goyer. Charles Roven and Deborah Snyder are producing, with Benjamin Melniker, Michael E. Uslan, Wesley Coller, David S. Goyer and Geoff Johns serving as executive producers. 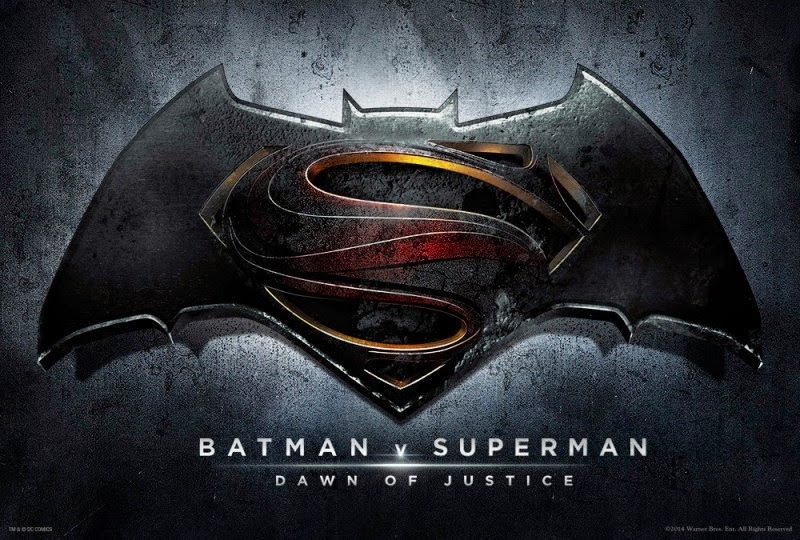 Set to open worldwide on May 6, 2016, “Batman v Superman: Dawn of Justice” is based on Superman characters created by Jerry Siegel & Joe Shuster, Batman characters created by Bob Kane, and Wonder Woman created by William Moulton Marston, appearing in comic books published by DC Entertainment." Bien, es un buen título. ¿"Dawn of Juctice"? Me recuerda INJUSTICE: GODS AMONG US. De hecho, el Logotipo va muy en la línia de MAN OF STEELE. A ver si la cosa sale bien.